Worldwide, tens of millions human cases are reported every year for salmonellosis. This makes it one of the most common foodborne diseases, which can end lethally, depending on the salmonella strain and host factors. More than 2,600 different serovars are known nowadays. Poultry meat is a potential carrier for the animal-food-human transmission route. 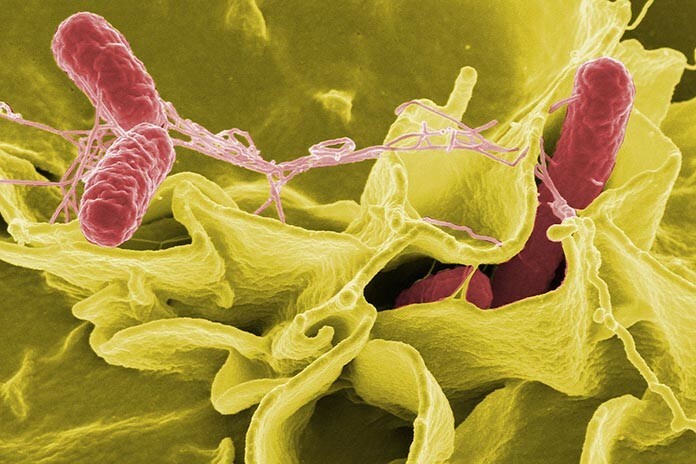 In North America, Salmonella enterica serovar Heidelberg is one of the most common serovars isolated from people suffering from salmonellosis (Patchanee et al., 2008). 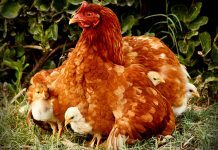 Furthermore, Salmonella enterica may carry antimicrobial resistance genes adding further to a potential risk for animals and humans. The objective of the study was to investigate the effect of a standardized blend of plant-derived isoquinoline alkaloids (IQs, Sangrovit® G Premix) in broiler chickens infected with Salmonella enterica serovar Heidelberg. 1,200 male day-old chicks (Ross 308) were split into two groups: 1) Control (CON): infected, no feed additive 2) Feed additive (IQ): infected, IQs (120 ppm throughout the study). 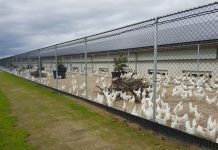 At study initiation, fifty broiler chicks were allocated to twenty-four floor pens (n=12) with fresh litter in a modified conventional poultry house. Three rations were used: starter (d 0 – 14), grower (d 14 – 28), and finisher (d 25 – 35). 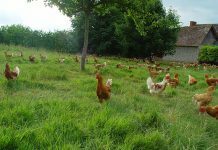 Feed formulations consisted of non-medicated commercial type broiler feed and birds had ad libitum access to feed and water. The challenge in this study was a natural seeder bird method where 13 birds (25%) per pen were orally gavaged with 4 x 105 CFU/ml of a nalidixic-acid resistant Salmonella enterica serovar Heidelberg at four days of age. The gavaged birds were tagged. Boot socks swab samples were collected for Salmonella environmental contamination determination from all pens on d 14 and 35. Furthermore, caecal sampling was completed on d 35 for evaluating Salmonella counts using MPN (Most Probable Number). Ten non-tagged birds were taken from each individual pen, euthanized by cervical dislocation and cecas aseptically removed. After removal the caecal samples were placed in sterile plastic bags, labeled, stored on ice, and analyzed. Generalized estimating equations logistic models were applied for statistics, where P < 0.05 was considered significant. MPN values were log-transformed prior to statistical analysis. On d 35, no significant differences were observed for feed intake and average weight gain between CON and IQ. Birds fed IQs showed a significantly improved adjusted FCR compared to control birds (1.744 and 1.799, respectively). IQ treated birds showed a numerical reduction in Salmonella prevalence (boot sock samples) compared to birds of the control group (87.5% and 100%, respectively). Furthermore, caecal Salmonella MPNs for culture-positive ceca samples were lower in IQ fed birds than in untreated birds (0.40 and 0.55; P > 0.05). The use of IQs reduced the prevalence and Salmonella level in the positive ceca. This will decrease the pathogen pressure for the next growout as chicks are exposed to less Salmonella. Consequently, this can lead to a significant Salmonella reduction in the broiler house over time. Furthermore, a beneficial significant effect on FCR was observed in challenged chicks if IQs were applied, improving economics. 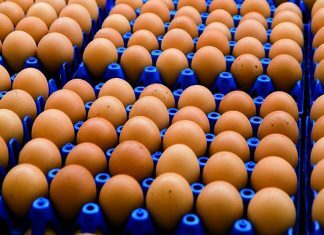 In conclusion, the use of a standardized blend of plant-derived isoquinoline alkaloids offers a promising solution to support broiler chickens challenged with Salmonella and contribute to food safety and an economical broiler production.